What is Positive Behavior Interventions and Supports? Positive Behavior Interventions and Supports (PBIS) is a team approach to teaching and supporting behavioral expectations throughout the school. It is based on a proactive model which reinforces and recognizes students who are able to model these behaviors and has systems in place to support students who have a difficult time with behavioral expectations. 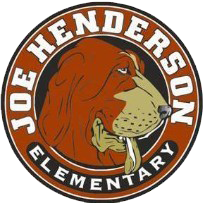 PBIS is a positive behavior management process to make Joe Henderson a safe place. Who is on the School-wide PBIS Team? Our PBIS team is representative of the entire school staff across grade levels, classified staff, special education staff, and parents. Every person who works in the school is aware of the behavioral expectations and works to ensure students are consistently getting the same message, regardless of the setting they are in or the adult they come in contact with. What are the Responsibilities of the School-wide PBIS team? – Hold PBIS meetings on-site to plan and coordinate school-wide behavior systems. The team is responsible for planning PBIS activities (such as PBIS Kick-Off, an acknowledgment system, and support of school rules) and continually monitoring and updating PBIS programs. – Attend district-wide meetings and training to promote the continuing development and maintenance of PBIS programs at our school. – Present PBIS news at staff meetings to keep staff up to date with school PBIS programs and receive input and feedback from staff.